I shared in last week’s blog how our experience at Uluru with Aboriginal dot painting could inform how we tell a story through architectural drawings. A link between these seemingly disparate graphic processes is that they are both simply a means to an end. That is not to deny that there is artistic skill required for these different forms of communication. Historical architectural renderings with pen, ink and watercolour were certainly works of art however their primary purpose was to transfer knowledge and information to create a building. Another common denominator linking indigenous and architectural drawings is that, substantially, they are viewed from above. The main drawing in an architectural set is the floor plan followed closely by the site plan. This is the key that references the elevations and sections. 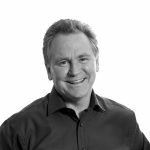 You will hear ‘plans’ used as the generic term to describe all architectural drawings. It surprised me that indigenous drawings and paintings are generally taken from a bird’s eye perspective. This seemed at odds with a culture so bound to a predominately flat landscape with limited opportunity to see their land from above. People are shown as a ‘U’ shape representing a plan view of someone crouching. More often than not, animals are indicated by their footprints. A significant place is shown as a series of concentric circles inspired by a stone dropped in that precious commodity, water. 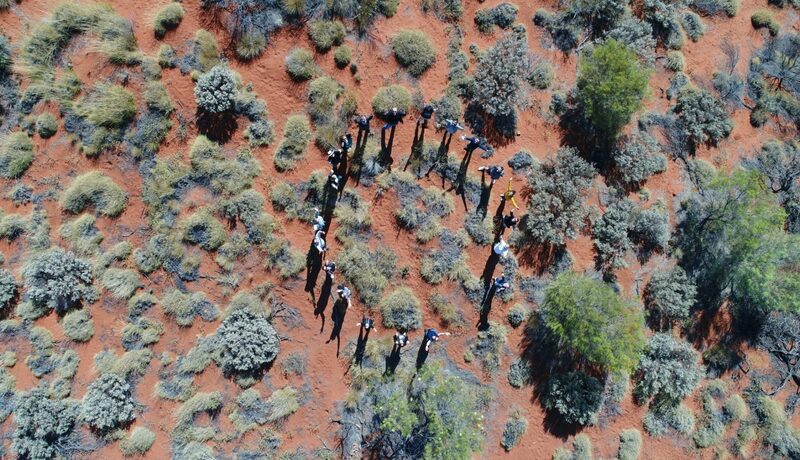 You will see from the feature image to this blog that the Edmiston Jones team took the opportunity at Uluru to gain an aerial perspective of our surroundings. 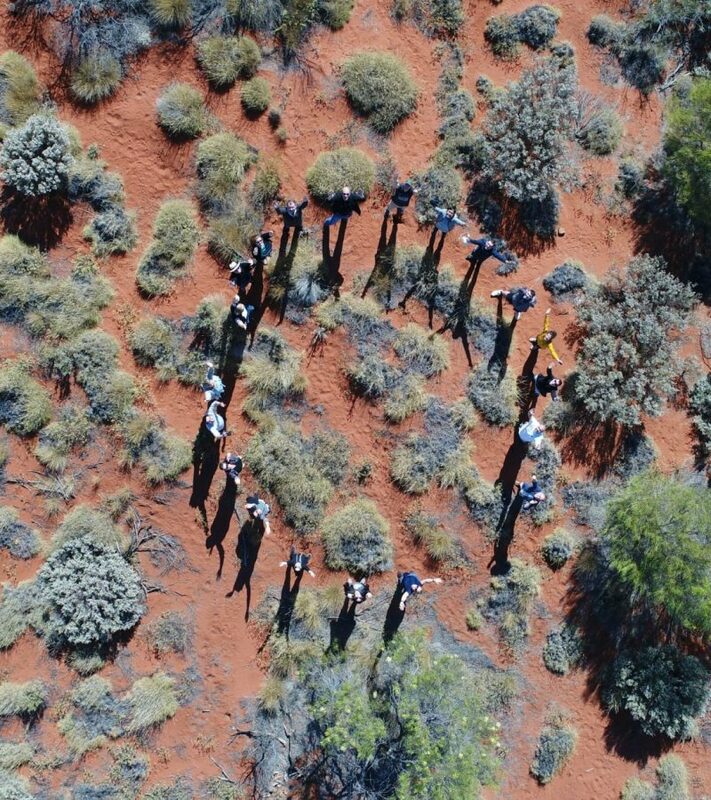 Using a drone, Sam took this image of the group revealing an unexpectedly vegetated desert landscape. We will continue to make good use of technology to gain a better understanding of ‘place’ and explore engaging ways of communicating with our clients.